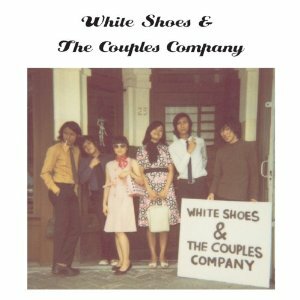 White Shoes & The Couples Company - a pop sextet from Jakarta, Indonesia – formed in 2002 by Jakarta Art Institute of Cikini colleagues-turned-lovers Rio Farabi (Rio) and Aprilia Apsari (Sari). The original line-up of the band included Sari on vocals and violins, Rio on rhythm guitar and a third Art Institute colleague Saleh Husein (Saleh) on melody guitar. Always conceptualizing the band as more than a trio, after their Indonesian debut, Sari and Rio asked another couple from the music department at the school to join the band. Though they initially turned down the offer to focus on plays in an orchestra and lecturing, Ricky Surya Virgana (Ricky) and Aprimela Prawidiyanti (Mela) eventually accepted Sari and Rio’s invitation to bring their keyboard, bass, and orchestral talents to the group, the line-up for White Shoes & The Couples Company was almost there. All that was missing from the band’s already rich indie-pop sound was the percussive crash of drums, a void filled by John Navid in 2004. The sextet was complete. Influenced by 1970s Indonesian movie soundtracks, retro disco beats, as well as classic ‘30s jazz and everything in between, White Shoes have created a gentle, hypnotizing and gorgeous sound that has made them stand-out among the global musical masses. The band, first released their self titled album in 2005 by Jakarta based label, Aksara Records, and distributed by Universal Music Indonesia in Indonesia. The album has sold over 15,000 copies, and it’s a major step for an indie band. 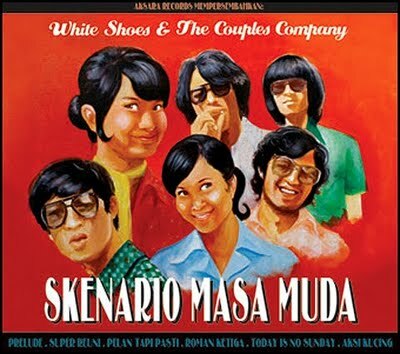 In the same year, White Shoes & The Couples Company has contributed one song in Original Movie Soundtrack “Janji Joni” produced by Kalyana Shira Films. The movie was a big hit in Indonesian Cinemas, and also the single from the band, titled “Senandung Maaf”, becoming a high rotation in every radio in Indonesia. Following this success, in 2006, White Shoes & The Couples Company join another production from Kalyana Shira Films in a movie “Berbagi Suami”. The band recorded two songs for this movie soundtrack. In 2007, the band is also signed up with Minty Fresh (USA), an indie records label that based in Chicago, USA. 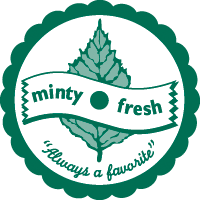 Minty Fresh has released White Shoes & The Couples Company’s first album on October 2007 and distributed the album to the US, Mexico, Canada, Australia and Japan. Following that, the band continued to sign up with many record labels in Asian continent, such as: Bosmoon-Beatball Records (South Korea), Avant Garden Records (Taiwan), and Desinee (Japan) for distribution across the world. The band has performed at many prestigious festivals such as Melody of Life Music Festival 2006 in Bangkok, SXSW Music Conference 2008 in Austin, CMJ Music Festival 2008 in New York, Up To The Sky Music festival 2011 in Singapore, Clockenflap 2011 in Hong Kong, Bali Spirit Festival 2012 in Ubud, MIDEM 2012 in Cannes, Urbanscapes 2012 in Kuala Lumpur, Saarang 2013 in Chennai, India, and Mosaic Music Festival 2013 in Singapore . They’ve been named “One of the Top 25 Bands on MySpace” by Rolling Stone, featured in Time magazine, named as “The Most Blog-worthy Band on The Planet” by Yahoo!, praised by Pitchfork and named “One of the Most Crush-worthy Bands” by All Music Guide. Their new EP will be available in April 2013, which will be a follow up to their second album, titled “Album Vakansi”.